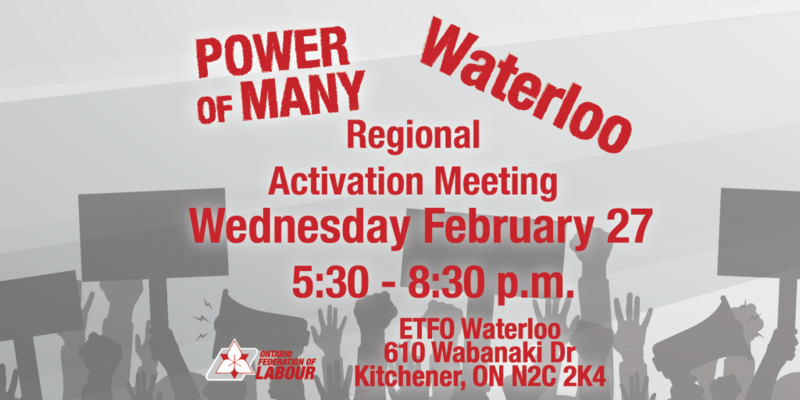 On Wednesday, March 20, the Ontario Federation of Labour and the Waterloo Regional Labour Council are hosting a Regional Activation Meeting in Kitchener. We are inviting all labour and community activists and leaders across the Waterloo Region, including Guelph and Stratford. Find this event at NB.